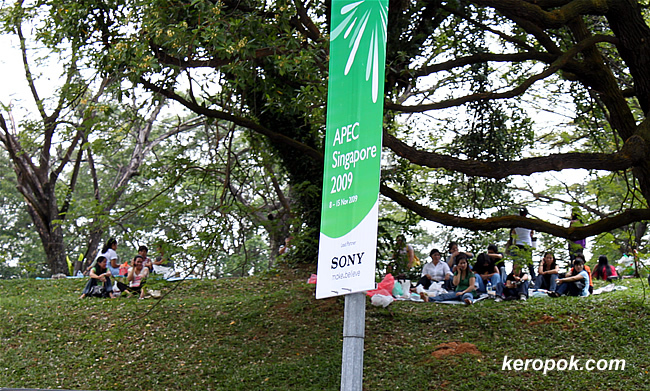 It's a picnic in the park opposite Orchard Road MRT / Wisma Atria / Takashimaya. Every Sunday there would be a group of mainly ladies having a picnic here. 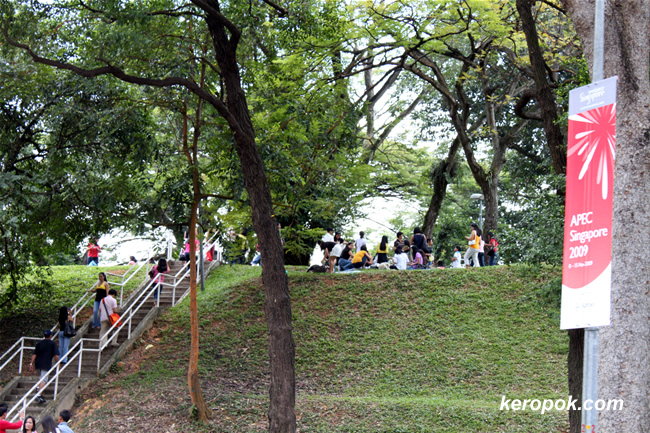 This group used to meet at what is now known as ION Orchard when it was still a mini hill with greenery. You know, the picnic food they bring actually smells really good! Why? Their day jobs mostly require them to prepare food for families they work for. When was the last time you had a picnic? I have not been to a picnic for years!